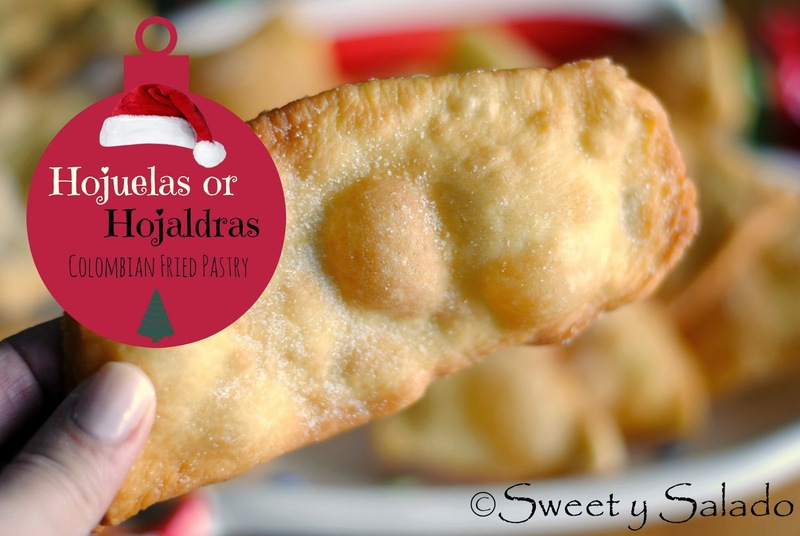 Hojuelas or hojaldras are another Christmas treat that is made in Colombia during the month of December. In Medellín, the city where I was born, we always call them hojuelas, but it wasn’t until I met my husband that I learned that he called them hojaldras because that’s the name they use in the region where he is from, Valle del Cauca. But it really doesn’t matter what you call them, they’re delicious, easy to make and very popular, especially with children. The confession that I have to make is that I never ate them during the holidays for some reason. 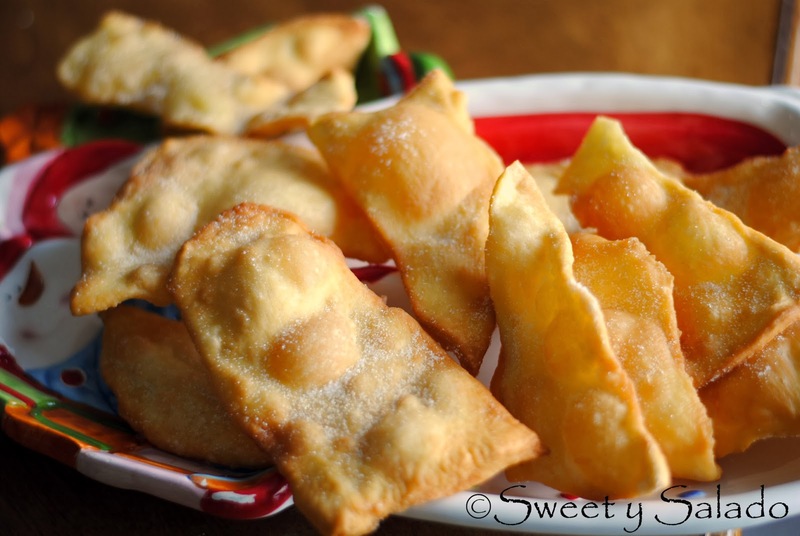 I had lots of natilla, buñuelos, empanadas and tamales but never hojuelas. I did eat them at school though and I remember them being gigantically delicious! My mother used to give me enough money for bus fare and lunch but if I had money left over I would save it for a snack. My dilemma as an 11 year-old girl was “Do I spend it buying a giant size hojuela? Or do I buy an ice pop after school?” I’m not a big fan of ice cream but the man who used to sell them outside of our school had the coolest sales pitch to get kids to buy them. He had all kinds goodies, including the “Michael Jackson popsicle” and how can you say no a to Michael Jackson popsicle? Which by the way, I never saw what it looked like. But like I said, since I’m not a big fan of ice cream, I always opted for my beloved hojuela… and never regretted it. 1. Mix the flour, sugar and salt in a small bowl. 2. Place the flour mixture on a flat surface and make a well in the center. Add the egg and mix well with a fork. Now, add the orange juice and the butter and mix until most of the flour is well combined. Then, knead with your hands for a few minutes until you get a soft dough. **Note: the dough will be very sticky so keep adding a little bit of flour on top and bottom until you get a soft dough. 3. Shape the dough into a small ball, place it in a small bowl and cover. Let it rest for about 10 minutes. 4. After 10 minutes, place the dough on a lightly floured surface and roll it very thinly with a rolling pin, about 1/8 inch (2 mm) or less, the thinner, the better. 5. Cut the dough with a sharp knife into desired shapes such as strips or diamonds. Peel them off, stretch them out with your hands, if needed, and fry them in the oil at 350ºF (180ºC) until both sides are golden brown. Approx. 2½ minutes per side. 7. Drain them on paper towels and immediately cover them generously on both sides with white or powdered sugar.